It's been awhile since I took part in a Top Ten Tuesday but I thought that seeing as how I was going to write a similar post anyway, I may as well join in the TTT fun. 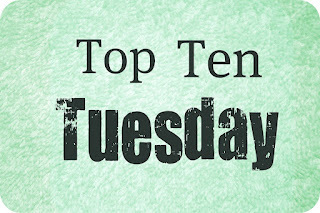 As always, Top Ten Tuesday is hosted by the ever amazing The Broke and the Bookish. I know that I said that this list isn't in a particular order, but if I'm being honest here than I'd have to admit that actually Undone by Cat Clarke really is my favourite book that I've read this year. I thought it was one of the most emotional books I've read in a long time. And it's a story about a girl grieving the loss of her best friend who committed suicide, of course it's going to be emotional. But for me, my favourite part is how conflicted about how Jem is about how she reacts to Kai's death. She's hell bent on revenge no matter the cost and I loved reading about her journey in this book. Cat Clarke is kind of a super star, isn't she? Clockwork Princess was very nearly my number one choice of the year so far. I absolutely adore this book and The Infernal Devices series. Even more than The Mortal Instruments. It's that beautiful relationship between Jem, Tessa and Will that does it for me. There's such a great connection not just between Tessa and the two boys individually but with Jem and Will as well. You can tell how much each of the three really wants the other two to be happy no matter what. I wish there was more historical detail added to the series but other than that, this book was so very emotional and interesting and I can't wait to read more in the Shadowhunter world. It's exciting stuff. Monkey Wars. What a very different book this is. 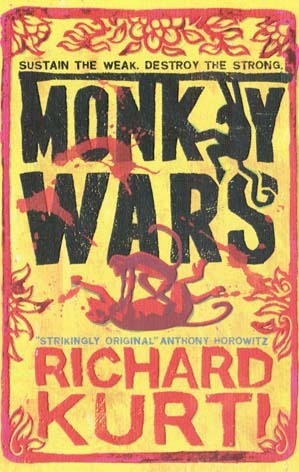 I was all set to dismiss a book about monkeys and violence and power struggles until the publicist of the book sent out a really enthusiastic email raving about this book. So I gave it a chance. And boy, am I glad that I did! I love how much this book is about human behaviour and it really made me think about the difficult situations that month main monkeys are faced with. I could see why Papina wanted to act out and rebel because of the unfair treatment of her family and the other Rhesus. And I could see why Mico wanted to stay amongst the Langur despite knowing what he did and try to uncover as much knowledge and secrets. I felt all conflicted about both Papina and Mico and my heart ached for both of them throughout. This book is my biggest surprise of 2013. I'm not yet done raving about it! I haven't seen very many reviews or much conversation about this book and I'm looking around going 'why the hell not?' I love this series so much! The first book is Confessions of An Angry Girl and it was great. This book? Had everything that I loved about the first book and gave me more. More complicated relationships and more reasons to fall in love with Rose and Jamie both and oh! did it make my heart hurt. And then I was fist pumping every time Rose 2.0 decided something brilliant but hard going after her own happiness even if it was breaking my heart. I may have even whooped excitedly when my favourite character (Angelo!) finally showed up. I'll admit it, I'm a fangirl over this series. You should totally read it. Since his first book, I've always been a big fan of Phil Earle's. I love his stories and the characters that he brings us very much. In Heroic, I really loved the sense of brotherhood, amongst Jammy's unit of soldiers, with Sonny's group of friends and of course between Sonny and Jammy themselves. I love especially how Sonny changes throughout the book, how he becomes a bit more responsible and can see a different more hopeful future for himself. I thought the depictions of war were done realistically and respectfully and I definitely like the addition of PTSD into a YA novel. I haven't yet written my review for this book, but oh my god, Elizabeth Norris sure knows how to write an exciting, fast-paced and emotional story! Again, like Unravelling, I fell whole-heartedly into this story and I cared about every single one of the characters. In fact I cared so much about these people that my heart physically hurt when certain things happened, I remember letting out anguished cries towards the end and the tears were flowing pretty rapidly too. The story is complex, the characters are flawed and wonderful. I was completely emotionally invested in their relationships together and what would happen on this weird chase around parallel universes trying to get to the bottom of this mystery and to clear Bennet's name. I will read anything that Elizabeth Norris writes. Anything. I LOVED Sophia Bennett's previous book, The Look. And I have to admit when I picked up You Don't Know Me, I was wondering if it was possible to love another book by this same author as much as I loved her previous book. It was a stupid and idle worry as I loved You Don't Know Me so wholly and completely. I loved both Sasha and Rose and the situations that they get into on the talent show and everything else really pulled at my heartstrings. I love how much of this book is about friendship and music and especially finding your own voice (in this, quite literarlly as both girls write their own original songs!). This was such a beautiful book! It seemed like everyone I knew was reading and raving about Eleanor and Park. So I bought myself a copy and put off reading it for longer than I should have, worried that my expectations would be too sky high for me to enjoy this novel. Boy, was I wrong. I tweeted right after I began Eleanor and Park that I would have loved this book even if the two of them only ever ended up as two people on a bus sharing comic books and while of course I did love how much their relationship changes over the course of the book, that feeling remained. My heart went out to both Eleanor and Park almost immediately and I really wanted the best for both of them. It felt like I could see myself in both characters and it's not often that I relate that much to fictional characters. I loved the sweetness of Eleanor and Park's interactions with each other and there will always be scenes from the book that will pop into my head because I felt so strongly about them. This is an amazing book and every wonderful thing I've heard about it is true. Geek Girl was so much fun! It was very funny and awkward and I loved the combination of really geeky facts together with modelling and the fashion industry. Despite not knowing very much about fashion, I find it really appealing reading about pretty dresses and shoes. Plus, I thought Harriet Manners was an incredible main character. She had some great people surrounding her as well including very funny dad and really great stepmother. I can't wait to read more in this series when the next book is published later this year... Bring it on! 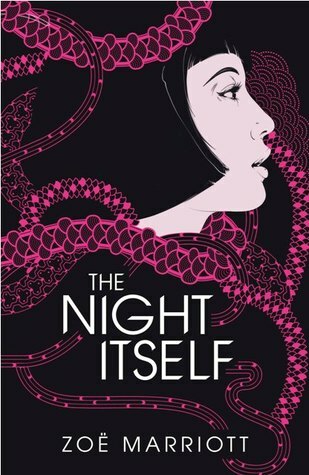 Ooh, The Night Itself. The first urban fantasy book in a planned trilogy. I was hugely excited to read this book and it certainly didn't disappoint. I loved all of the characters that we are introduced to from Mio to Jack and especially Shinobu. I loved all of the action and the Japanese folklore we are introduced to. I loved the strong feelings and loyalty between Mio and Shinobu and the friendship between Mio and Jack. There are so many things about this first book in the series that makes me absolutely excited to read the sequel... I need to know more! 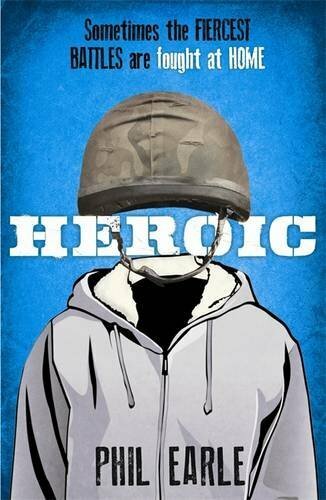 What has been your favourite book of 2013 to read so far? 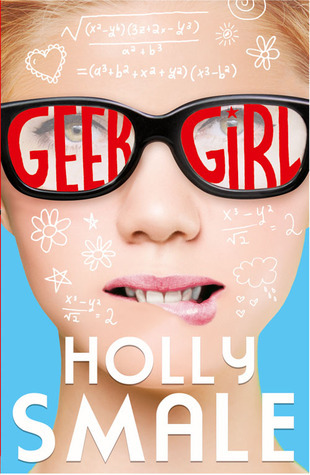 Geek Girl is on my list, too! 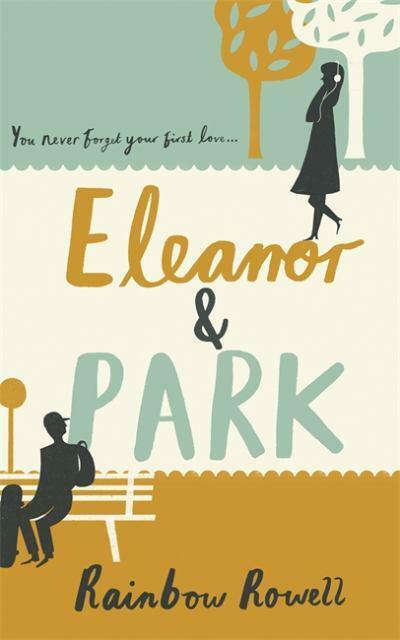 I really want to read Eleanor and Park, and I enjoyed Confessions of an Almost Girlfriend, it was a little bit different from what I expected (in a good way!). Was it different than you expected? I loved the addition of the Matthew Shepherd foundation ... but I thought everything was just MORE this time around and I loved it. Eleanor and Park is AMAZING. Great picks! :D I definitely agree with Clockwork Angel and Geek Girl. 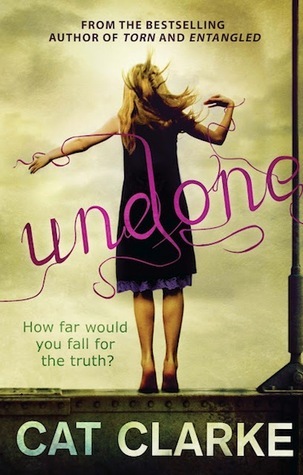 Undone is on my TBR pile and now I'm really excited to read it. Unbreakable and You Don't Know Me are high on my wishlist. I'm currently reading Eleanor & Park and... wow! 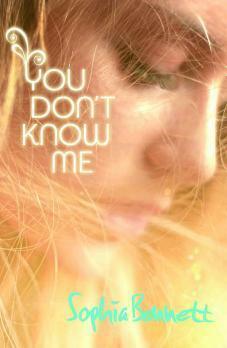 Unbreakable and You Don't Know Me are WONDERFUL. Well worth being on your wish list! I still need to read Clockwork Princess, I think I'm almost scared to read it because I don't want to say goodbye to the series! I'm planning on reading Geek Girl next month, as it looks fantastic, and I'm hoping to read You Don't Know Me very soon as well. Great list! Really hope you love Geek Girl and You Don't Know Me as much as I did. Great books! I saw Confessions of an Almost-Girlfriend on Goodreads the other day. It sounds like one I should keep an eye out for. I want to read Eleanor and Park! I have her other book, Attachments in my library loot pile. Yes, though of course do read the first book in the series first - Confessions of An Angry Girl. It's a great series, one of my favourites. I really want to read everything by Rainbow Rowell after loving E&P! Eleanor & Park would definitely be on my list, as well as Fangirl by the same author. Undone was such a tearjerker but I really loved it too and I'm not even going to mention Clockwork Princesss! 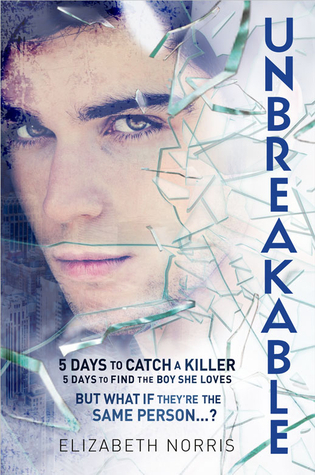 I was declined for Fangirl on Netgalley :( I really want to read it, it sounds amazing. Fab list! Geek Girl and You Don't Know Me were on mine, with Undone and Heroic not too far off. My list is at YA Contemporary if you'd like to take a look. Thank you! And yes, it was! I loved Clockwork Princess! I want to pick up Elanor and Park. I've heard great things about it. Nice list! Every amazing thing you've heard about Eleanor and Park is true. Go read it now. I really need to pick up reading the Cassandra Clare books, I read the first couple but then moving happened and I've not managed to finish reading them... must do something about that. I LOVE Elizabeth Norris! She's an amazing author and it was such a privilege to get a signed book from her! My TTT... Don’t forget to follow via Bloglovin’! Ooh, I am JEALOUS that you have a signed book by Elizabeth Norris. LOVED both her books. Ooh, have you not, Debbie? 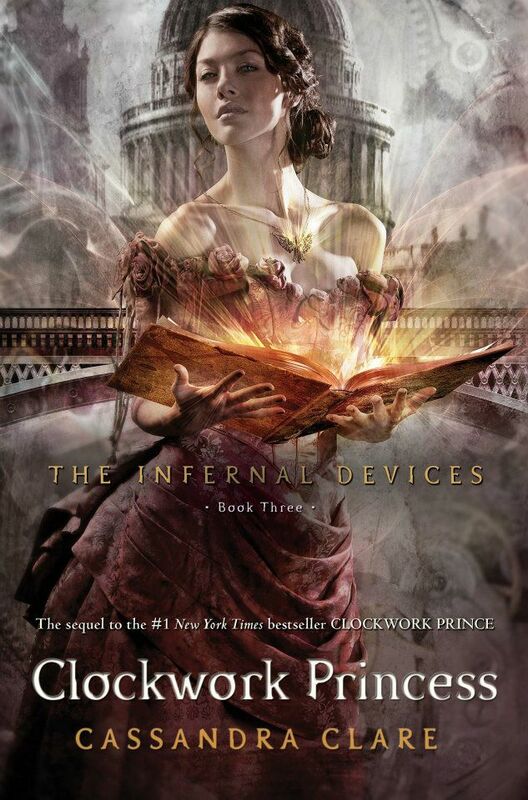 I really like The Mortal Instruments series but The Infernal Devices is much better, in my opinion! :) Hope you get around to reading something of hers soon. I'd probably suggest City of Bones before the film adaptation in August..
Undone is definitely on time as well! I was a little disappointed by the CP2 epilogue so that just knowkcs it off the list. I really enjoyed Geek Girl and I NEED Eleanor and Park in my life!